Harry Tuzo, then a Lieutenant-General, replaced Vernon Erskine-Crum who had been appointed General Officer Commanding (GOC) of the British Army (BA) in Northern Ireland on 4 February 1971, but who had suffered a heart attack. Donald Robinson (56), an English businessman, was shot dead by the Irish Republican Army (IRA) at his place of work near University Street, Belfast. 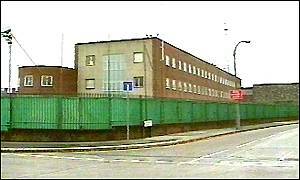 The British Broadcasting Corporation (BBC) programme ‘Tonight’ carried out an investigation into interrogation techniques employed at Castlereagh holding centre. [This programme subsequently led Amnesty International to conduct its own investigation which was published in June 1978. Republican prisoners decided to call off the ‘blanket protest’ so as not to detract attention from the hunger strike. The Northern Ireland Assembly passed a motion urging the British government to do all in its power to stop the proposed inquiry into the Northern Ireland conflict by the Political Committee of the European Parliament. The Rapporteur was Mr N.J. Haagerup. The Assembly also established a Security and Home Affairs Committee. The Ulster Clubs announced a plan to set up an alternative system of government. There was a meeting of the Anglo-Irish Intergovernmental Conference (AIIC) in London. Two Ulster Defence Regiment (UDR) soldiers were convicted, along with a third man, of ‘aiding and abetting’ the Ulster Freedom Fighters (UFF), a cover name (pseudonym) used by the Ulster Defence Association (UDA), in the killing of Loughlin Maginn on 25 August 1989. [The killing led to the establishment of the Stevens Inquiry.] Muammar Gaddafi, then President of Libya, announced that he was breaking his country’s links with the Irish Republican Army (IRA). Patrick Mayhew, then Secretary of State for Northern Ireland, gave a speech in Bangor, County Down, in which he said that Britain was “neutral” with regard to Northern Ireland’s position within the United Kingdom (UK). Mayhew stressed that the union between Britain and Northern Ireland would only be changed if a majority of the population voted for some new constitutional arrangement. The European Commission recommended continuation of its 15 million ecu support for the International Fund for Ireland (IFI). 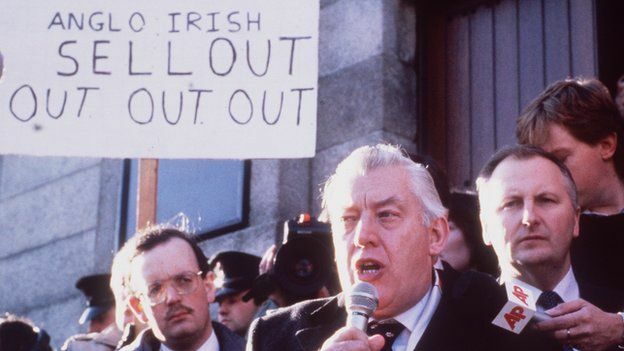 David Trimble, then leader of the Ulster Unionist Party (UUP), and Ian Paisley, then leader of the Democratic Unionist Party (DUP), said they would not attend the ‘proximity’ talks at Stormont. An Irish Republican Army (IRA) mortar was discovered close to Warrenpoint, County Down. Two 16 year old boys were slightly injured when an explosive device, hidden in a police traffic cone, detonated as they moved it. The device had been left at the Farmacaffley point-to-point races and the boys had moved the traffic cone to allow a car to pass. John Reid, then Secretary of State for Northern Ireland, delivered a speech at the New University of Ireland in Galway in which he called on Nationalists to reassure Unionists that “what matters is a peaceful, just, democratic, and richly diverse island, not an ancient constitutional struggle”. Thomas Shaw, the last veteran in Ireland of the First World War, died at the age of 102. Shaw, who was from Belfast, joined the 16th battalion of the Royal Irish Rifles (RIR) in 1916. He had enlisted earlier at the age of 15 when he lied about his age. However his brother, who was a Military Policeman, met him by accident while in France and had him sent home. 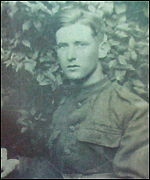 He rejoined the RIR at the end of the Battle of the Somme. Shaw saw action at Messines, Ypres, and Passchendaele. He returned to Northern Ireland in April 1919. Died two days after being shot while investigating break-in at factory, Camlough Road, Newry, County Down. Bus driver. Shot as he stopped at bus stop, Woodvale Road, Belfast. Shot while on Royal Ulster Constabulary (RUC) foot patrol, Donegall Street, Belfast. English businessman. Shot at his workplace, Lawrence Street, off University Street, Belfast. Shot while on Royal Ulster Constabulary (RUC) foot patrol, Serpentine Road, Greencastle, Belfast. Off duty. Killed by booby trap bomb, attached to his van, outside his home, Castlederg, County Tyrone. Died nearly 22 years after being shot by sniper, outside Coalisland Royal Ulster Constabulary (RUC) base, County Tyrone. Been in a coma since the incident on 4 May 1973.